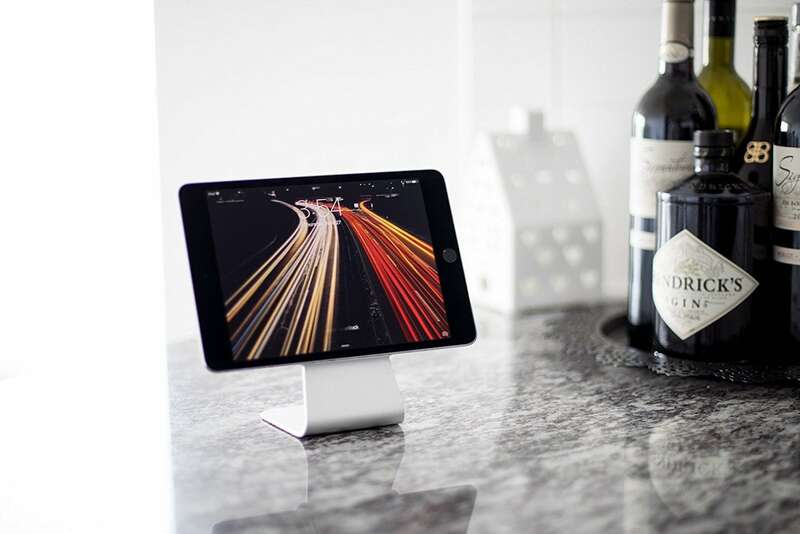 Keep your tablet at the ideal height when you have the Slope Micro-Suction iPad Stand which uses incredible micro-suction technology. 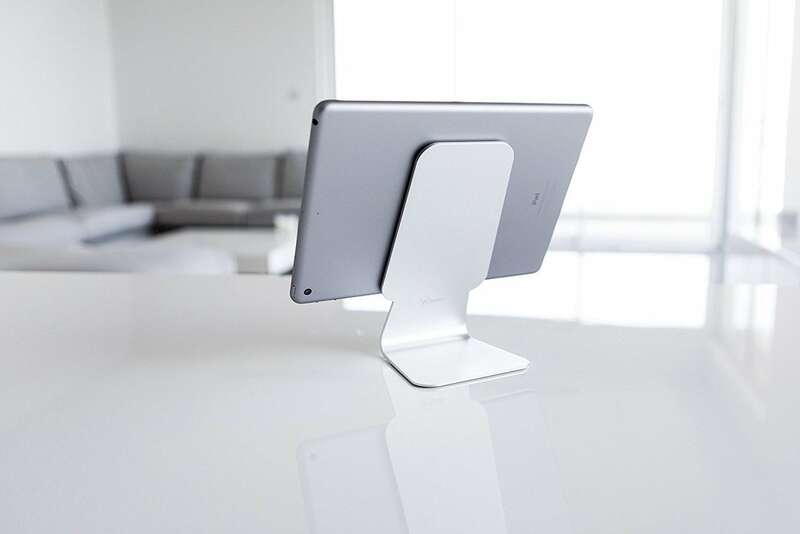 Keep your tablet at the ideal height when you have the Slope Micro-Suction iPad Stand. 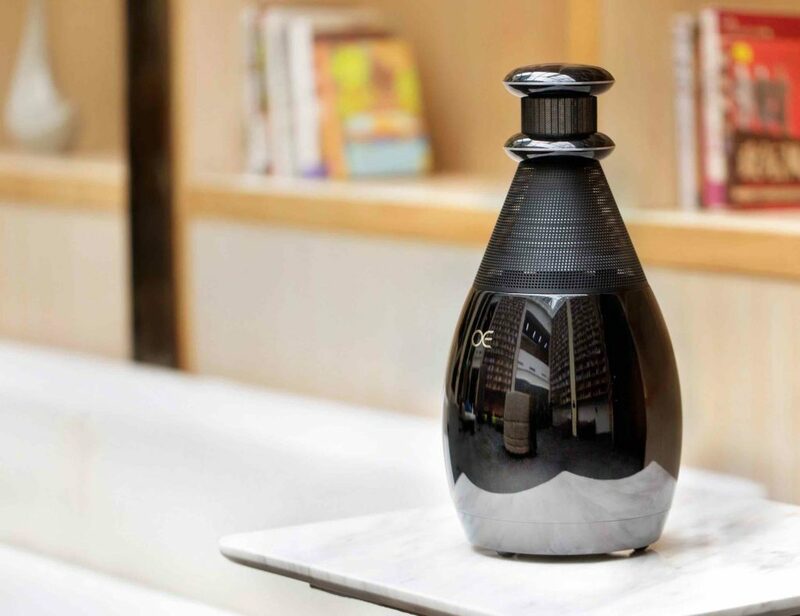 Designed by wiplabs, this innovative stand uses incredible micro-suction technology. 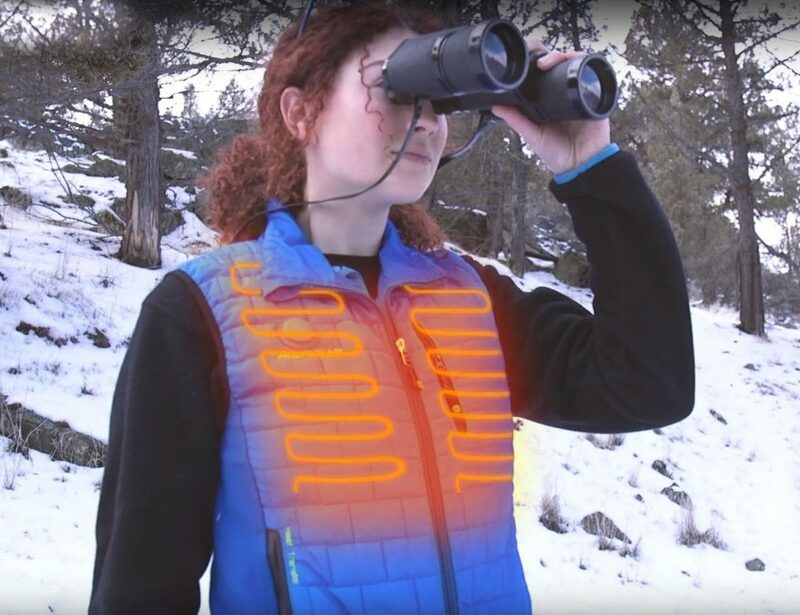 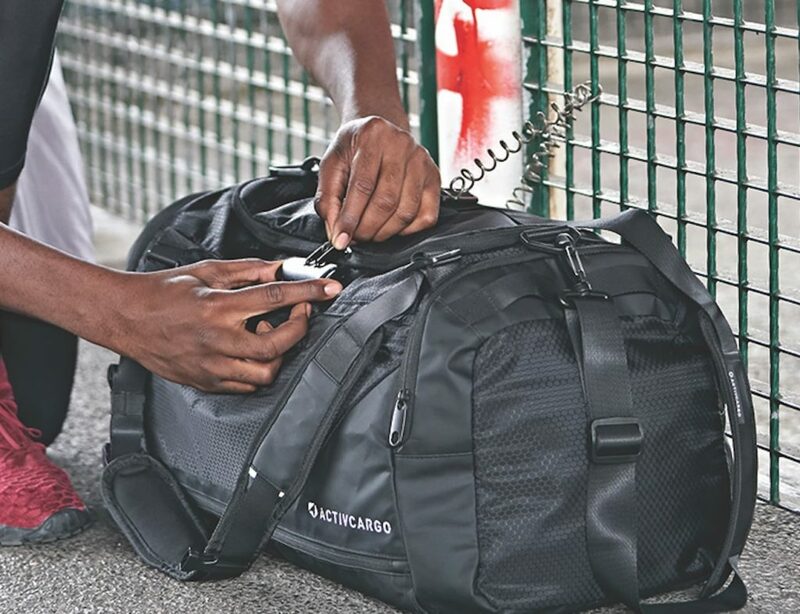 This means it can securely and easily hold your device without the use of magnets, straps, or an adhesive. 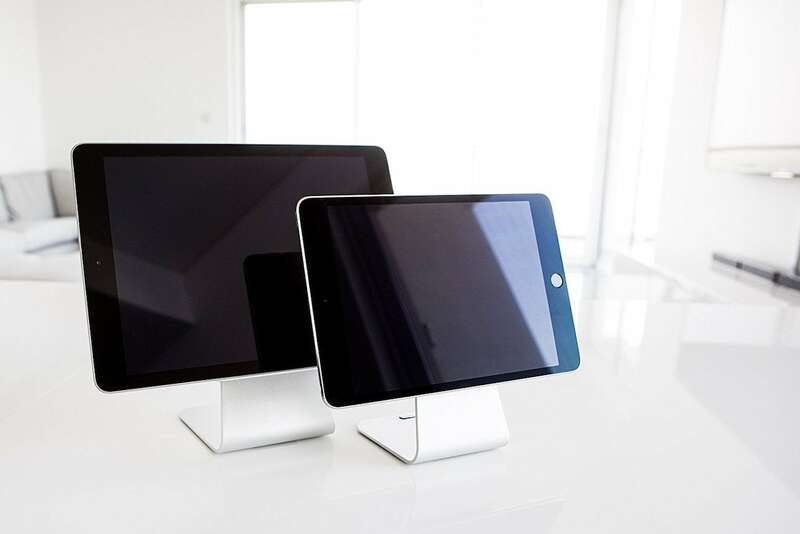 Made with the iPad in mind, the Slope Stand comes in a normal and mini version to suit all models. 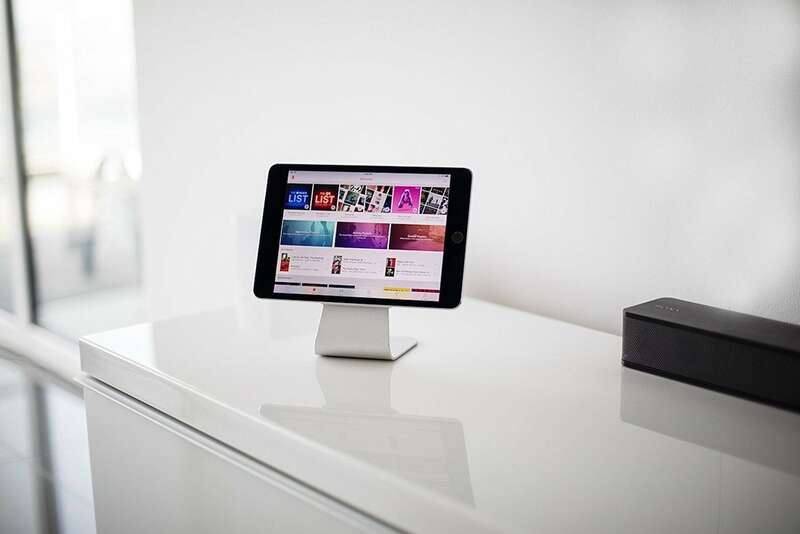 In addition, the stand lifts your tablet up to 10.5 inches off your desk. 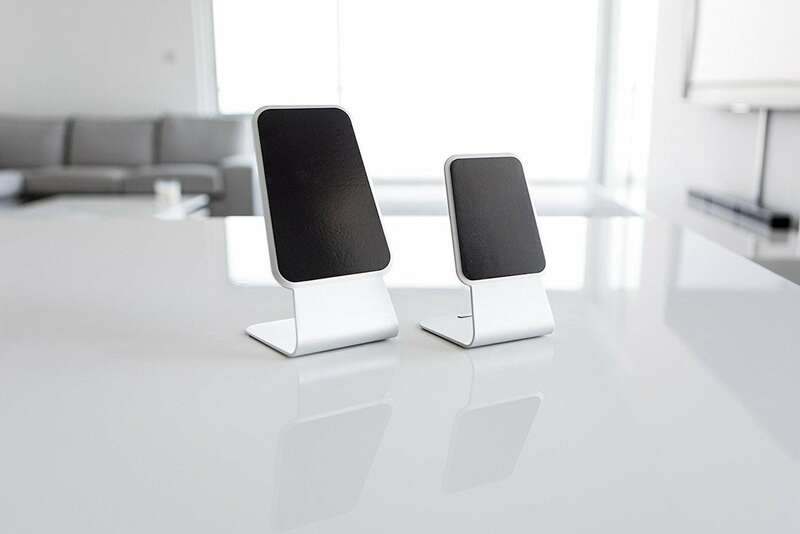 This gives you the perfect ergonomic angle for work, play, and catching all of your notifications. 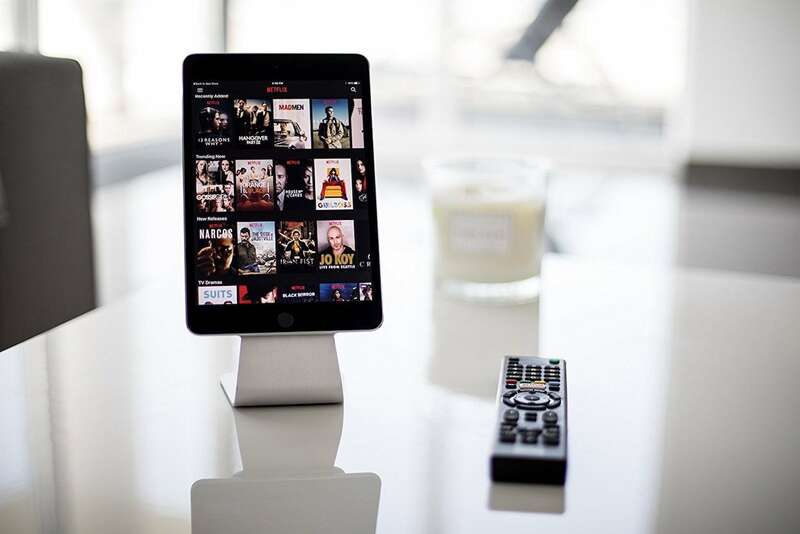 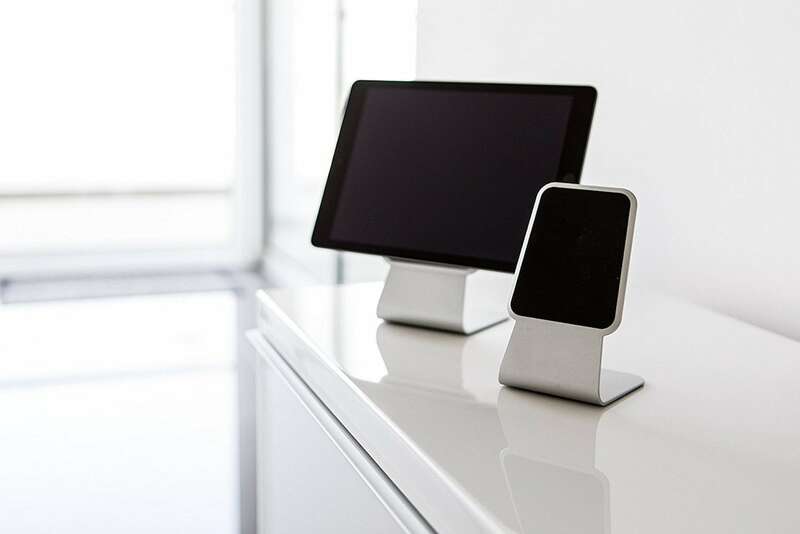 Featuring beautiful brushed aluminum, the Slope Stand also matches your Apple devices flawlessly. 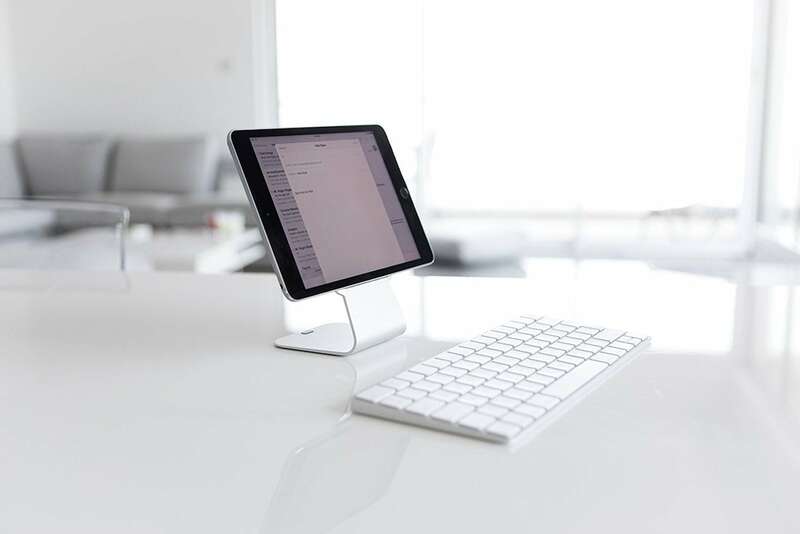 It’s perfect for your desk while you work, countertop for recipes, and so much more.